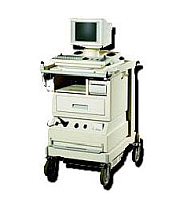 Two of the most popular used Apogee ultrasound machines are the Apogee 800 and Apogee 800+. Both models are well known for their ease of use and versatility for everything from abdominal and cardiac uses to OB-GYN and vascular applications. 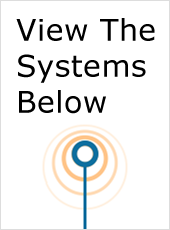 They both feature color Doppler, 96 channels and variable frequency control. You can find used Apogee 800 ultrasound systems at very reasonable prices and it’s easy to find used Apogee parts and supplies. At around 50 pounds, the Apogee CX ultrasound machine is a good mid-sized choice for cardiac and vascular applications. It also has variable frequency control and color Doppler. Apogee ultrasound machines are manufactured by a respected Chinese corporation known as Shantou Institute of Ultrasonic Instruments, or SIUI. The company has more than 40 years of history and is well known as one of Asia’s leaders in the areas of ultrasound machines and medical devices. Many of those products are available in the United States and Canada, often at very affordable prices. 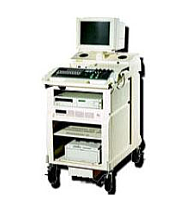 Some of the other Apogee ultrasound machines include the Apogee 3500, Apogee 3800 and Apogee 1100. With digital color and real-time triplex technology, these new models match up very well with the ultrasound machines manufactured by companies like GE, Sonosite and Siemens. Apogee also offers a line of portable ultrasound machines, including several that feature 4D imaging in an incredibly small package. The line of Apogee CTS ultrasound machines covers a wide range of applications, all with full digital imaging technology. Although Apogee may not be as well known as GE or some other ultrasound companies, they are quickly gaining acceptance with their quality ultrasound systems.